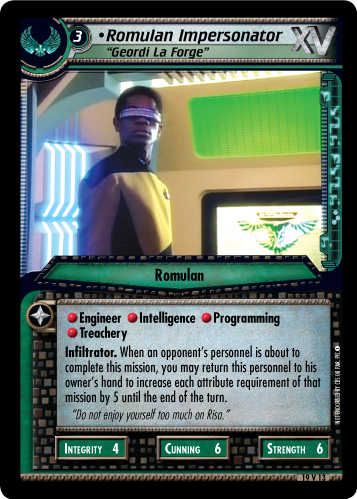 3 •Romulan Impersonator, "Geordi La Forge"
Infiltrator. 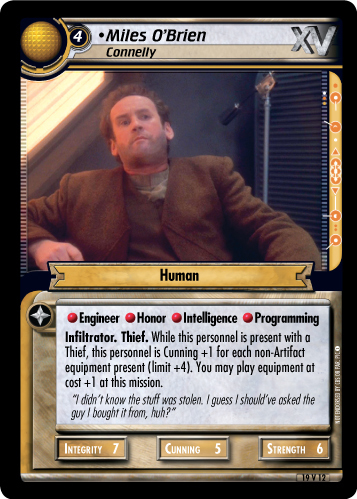 When an opponent's personnel is about to complete this mission, you may return this personnel to his owner's hand to increase each attributes requirement of that mission by 5 until the end of the turn. 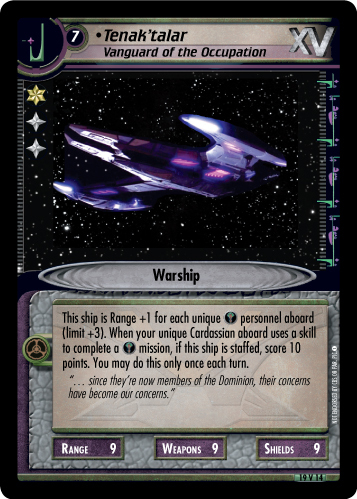 "Do not enjoy yourself too much on Risa."